✔️HELPS SUPPORT & IMPROVE EYES & VISION. Lutein, Zeaxanthin and Meso-Zeaxanthin are essential nutrients which have been shown to support healthy eyes and improve symptoms of age-related eye conditions. ✔️PREMIUM MariLut SOFTGELS. 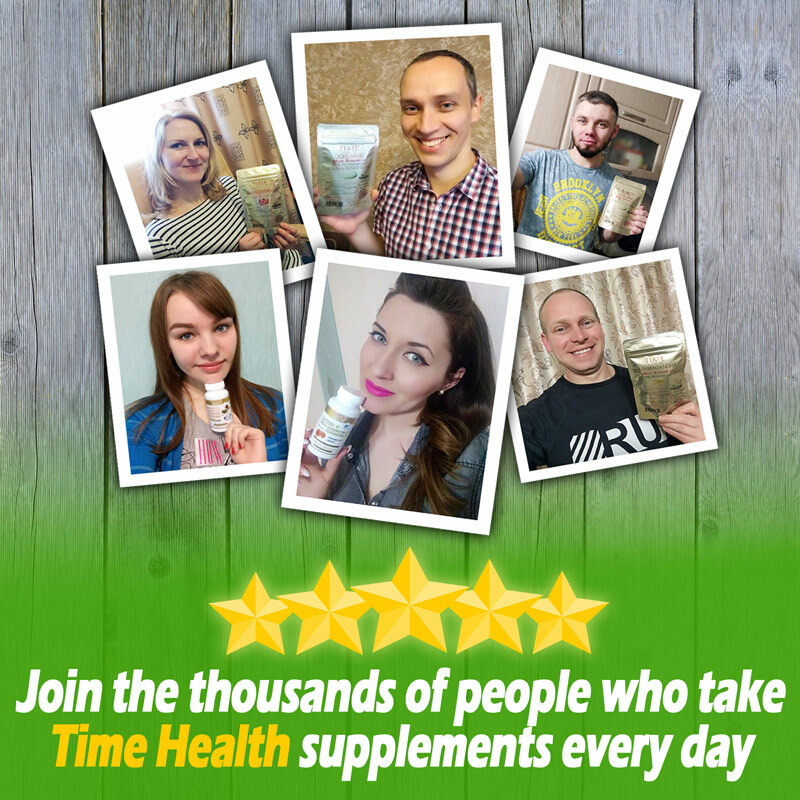 Time Health has teamed up with MariLut from PIVEG, INC in the USA. One of the world’s most premium Lutein/ Meso-zeaxanthin / Zeaxanthin manufacturers to bring you this one a day softgel. ✔️FORMULATED ACCORDING TO NATURE. 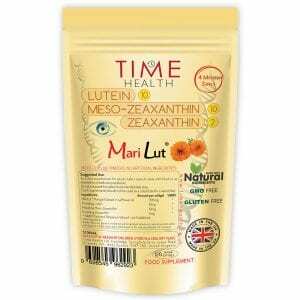 Formula contains 10mg Lutein, 10mg Meso-zeaxanthin and 2mg Zeaxanthin. 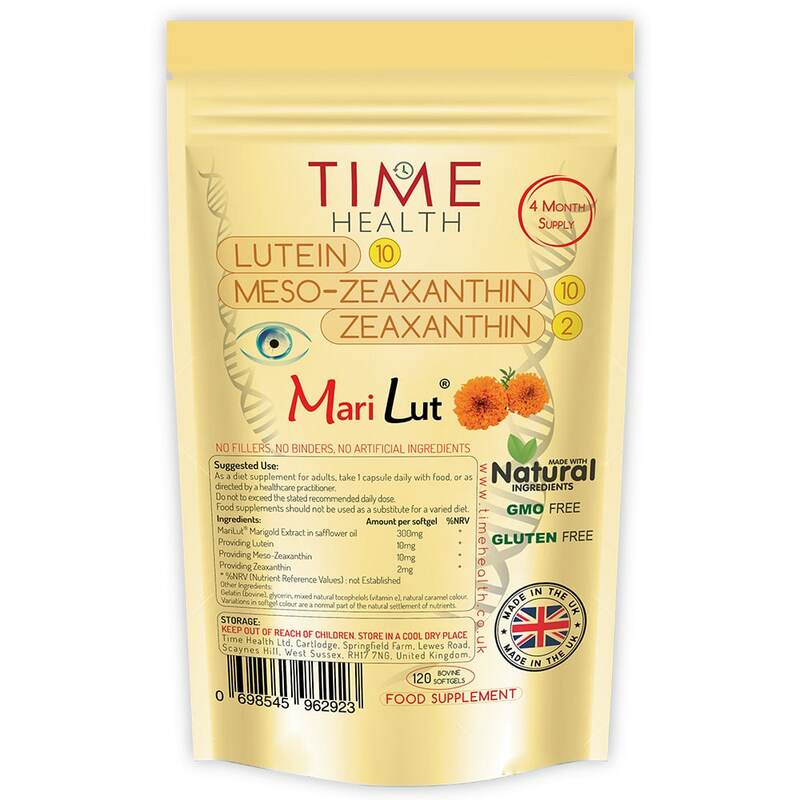 Lutein and Zeaxanthin are found naturally present in nature at a ratio of 5:1, which is why MariLut softgels contain 10mg Lutein and 2mg Zeaxanthin. 100% Natural from marigold petals. Gluten Free. Iron Oxide Free. ✔️OPTIMAL DOSE INDICATED BY RESEARCH. Recent studies at Waterford Institute of Technology, Ireland, have shown that the optimal response to Lutein, Zeaxanthin and Meso-Zeaxanthin can be achieved when consumed at these levels. ✔️OTHER PRODUCTS AVAILABLE. Vegan? 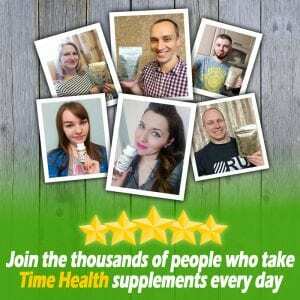 Not to worry, we also sell a 100% vegan friendly 10-10-2 formula, simply search “lutein 10-10-2”. We also have our ever popular Eye Complex 7 which combines 7 proven eye nutrients (lutein, zeaxanthin & meso-zeaxanthin with Goji, NZ Blackcurrant, Eyebright & Bilberry) into a simple one-a-day capsule. If you’re looking for a stronger lutein product, try out our lutein 40mg – Zeaxanthin 2mg formula or our Lutein 30mg – Mesozeaxanthin 10mg – Zeaxanthin 6mg. Other Ingredients: Gelatin (bovine), glycerin, mixed natural tocophelols (vitamin e), natural caramel colour. Variations in softgel colour are a normal part of the natural settlement of nutrients. Settlement of nutrients is visible in our softgels as we do not use iron oxide in our softgels due to the health concerns it brings. As a food supplement for adults, take 1 softgel capsule daily with food, or as directed by a healthcare practitioner. Do not exceed the stated recommended daily dose. Thank you, finally a Lutein Meso softgel product without horrible iron oxide. I'm happy to use your products as they have no unnecessary fillers, sweeteners, etc. I also like the above product because of the strength of the ingredients and the reasonable cost. Only just got it seems OK hope it cure my cataracts? !